The Courts at Tapestry consists of (6) two-story, single-family home plans with each floor plan offering options, allowing the home buyer to customize the home to some extent. These plans, with the options, range from 2,151 square feet to 2,810 square feet, with an additional option of exterior decks. 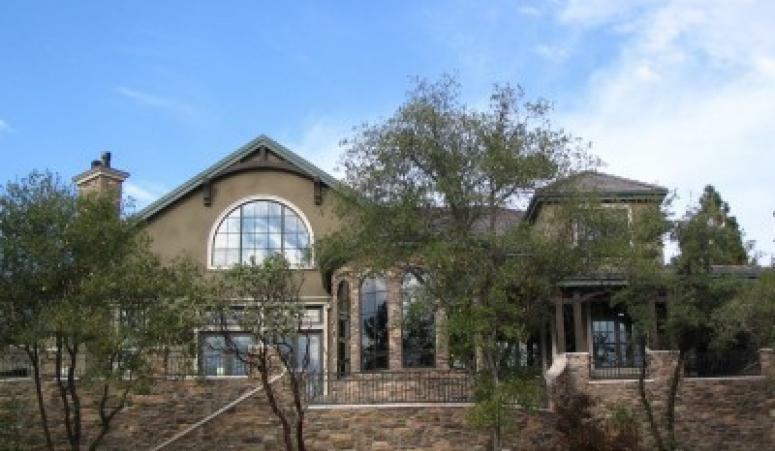 This is a gorgeous 7,500 square foot; two-story wood framed custom residence. Included with the design of this custom residence is a 14 foot long concrete pedestrian bridge with 594 square feet for the garage, and an additional 731 square feet for a detached garage. This structure is constructed out of conventional wood framed walls with prefabricated wood roof trusses. A truly impressive three-story, 9,000 square foot residence located in beautiful Sun Valley, Idaho. Stick framed construction allows for a third level without encroaching the height limitations for the area. The structural design involved accounting for full height 8" thick stone veneer along with high snow loading. The residence is mostly constructed of wood framing with some steel beams which provided the open spaces requested by the owner.